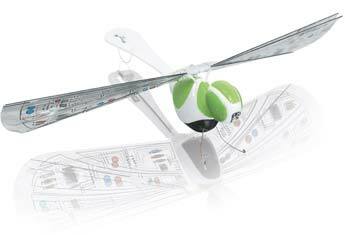 Wow Wee introduces the world’s first radio controlled flying insect! The amazing FlyTech? RC toy flaps its wings like a real dragonfly for unique flying action. Thanks to the lightweight construction, the Dragonfly can flutter, soar, dive-bomb and glide. Plus, the durable carbon-fiber structure and flexible wings stand up to crashes and rough landings.